When we last posted, we were leaving Jim and Barb’s place in the Black Hills of South Dakota and heading up to Bismarck, North Dakota. 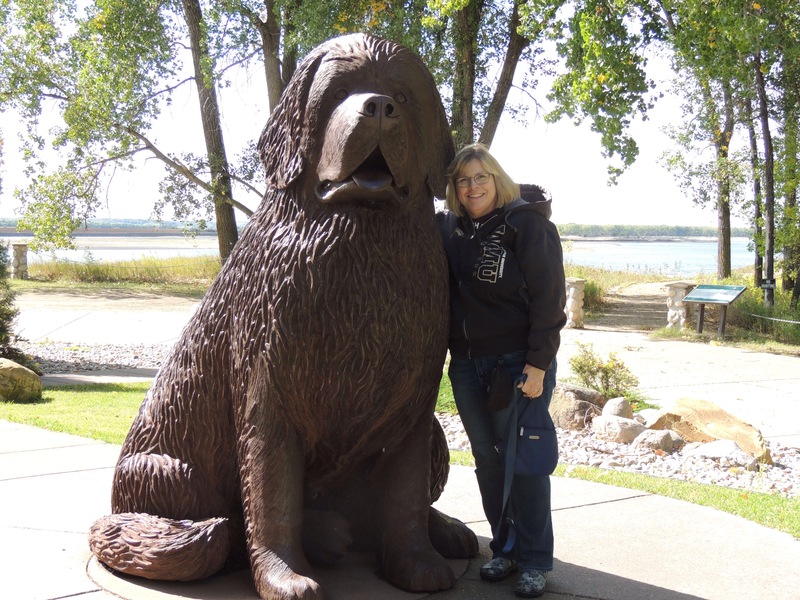 We broke that trip up into two days, with a stopover in Bowman, ND for the night. The trip from Bowman to Bismarck on Friday, September 15 was pouring rain with a stiff headwind. Even though we were losing elevation across the plains, the transmission in the truck was constantly downshifting to compensate for the rush of air coming at us. The upside? Free car washes! I barely recognized the truck, as the layer of tan Oregon dirt on it had become part of the North Dakota soil beneath it. 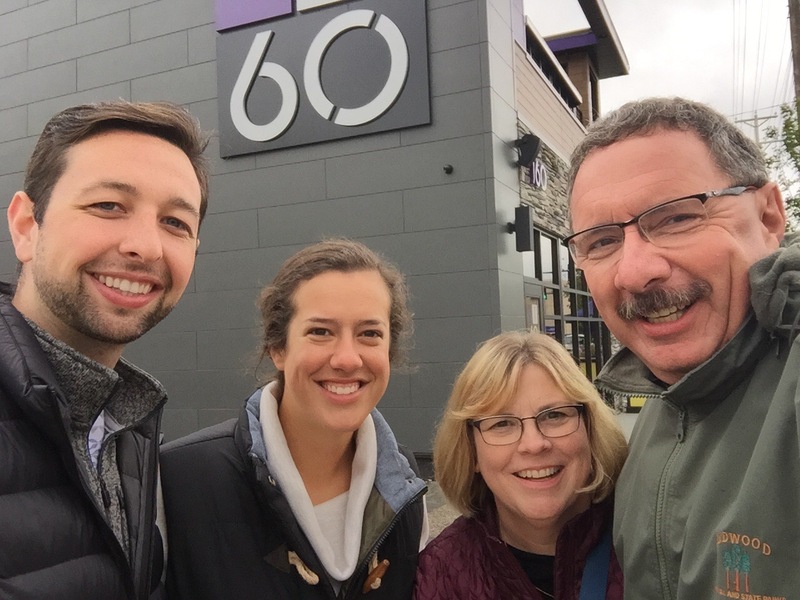 Once in Bismarck, our goal was to see a friend of ours who lives there. Nina has been working as an engineer for a road construction company in the area after graduating from Michigan Tech a few years ago. We met up with her and her friend John, who was visiting from Minneapolis for the weekend. 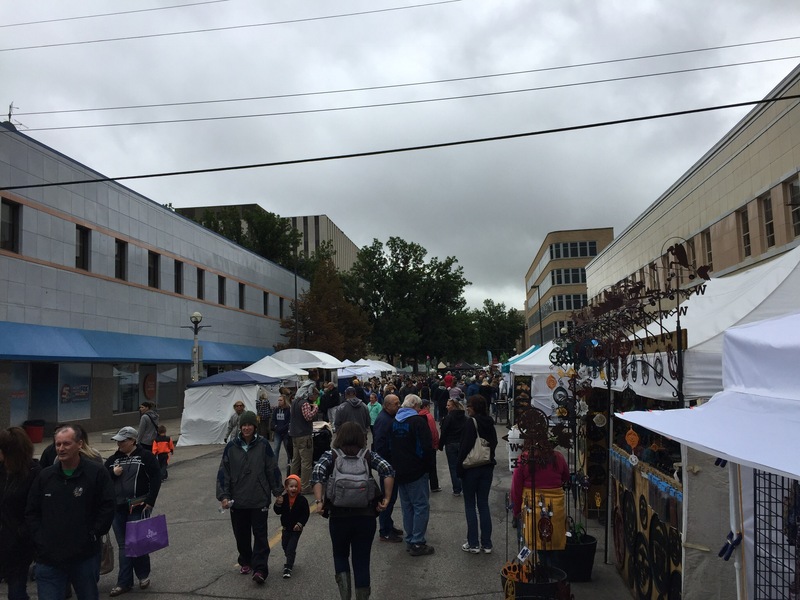 We had breakfast and checked out the street fair that was going on downtown. Very fun! Nina is part of the second generation of our WMU friends. It was great to see her and to also meet John! 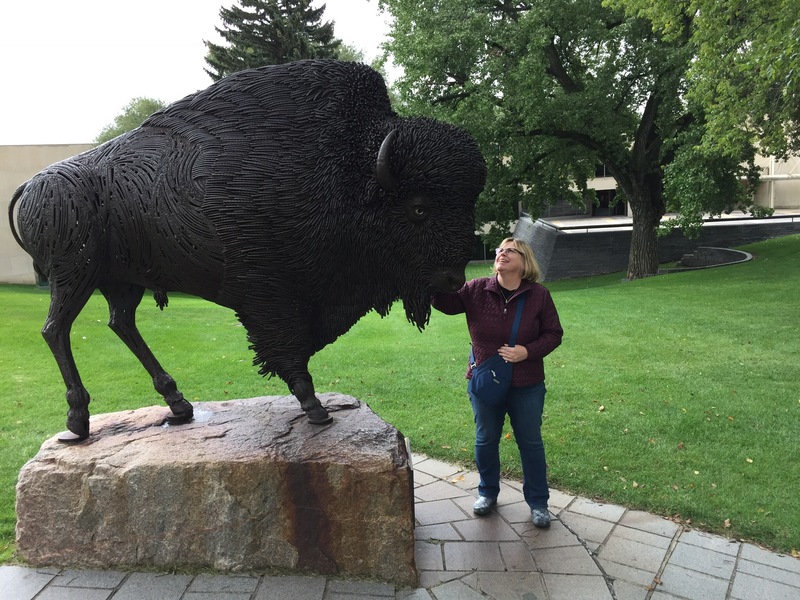 That afternoon, Diana and I headed to the North Dakota Heritage Center and State Museum. It’s located directly adjacent to the State Capitol. Diana saw this unique bison statue, which uses reinforcing rod for the fur near its head. :). While we found the museum interesting, we realized that we really prefer to see artifacts in context; in other words, where the history actually occurred. They definitely had a lot of things to look at, though! A little bit of everything that is North Dakota. 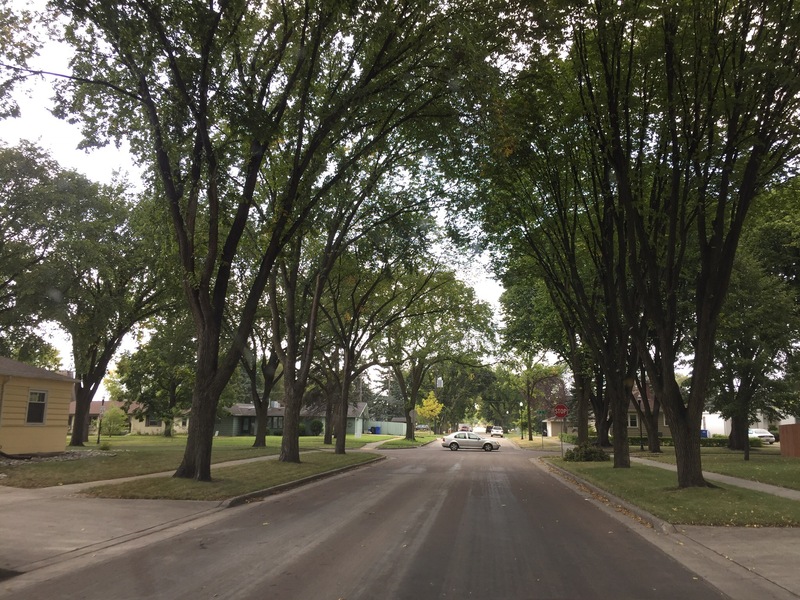 A nice surprise for me was that the state tree of North Dakota is the American Elm. Growing up in Detroit, almost every street was lined with these vase-shaped giants. It gave the roads a bit of a gothic archway effect. 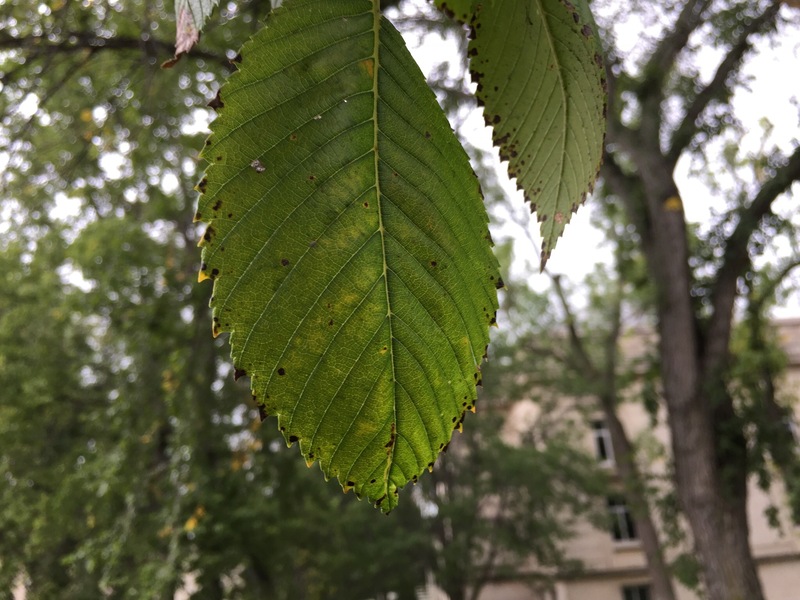 Dutch Elm Disease wiped most of them out, and I watched as they cut them down, one by one. To say I was thrilled to see these in North Dakota was a huge understatement! The next day, we met up with our friends Kat and Bob, who we last saw in Prineville, Oregon. 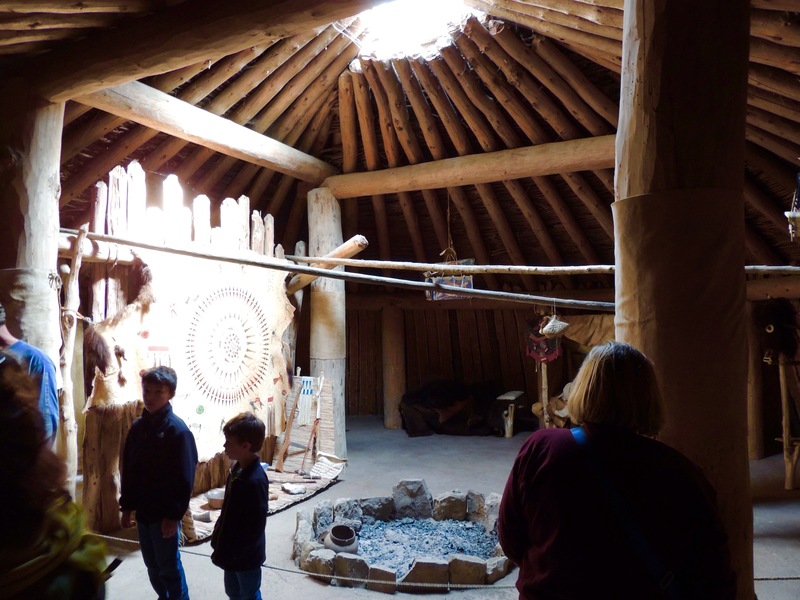 They are headed to the sugar beet harvest, so we took the opportunity to check out a few Lewis and Clark sites with them. 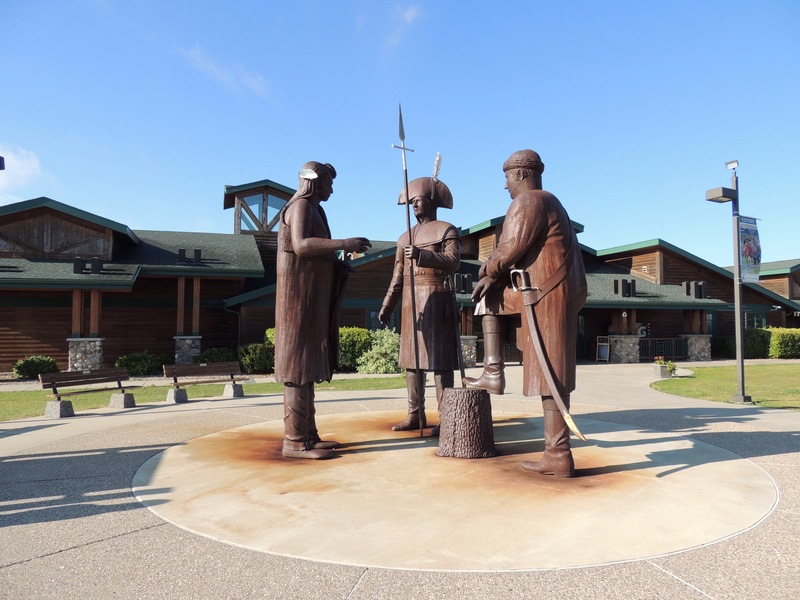 The first place we visited was the Lewis and Clark Interpretive Center near Washburn. It is a beautiful building with nice collection of some of the items that would have been brought on the expedition. 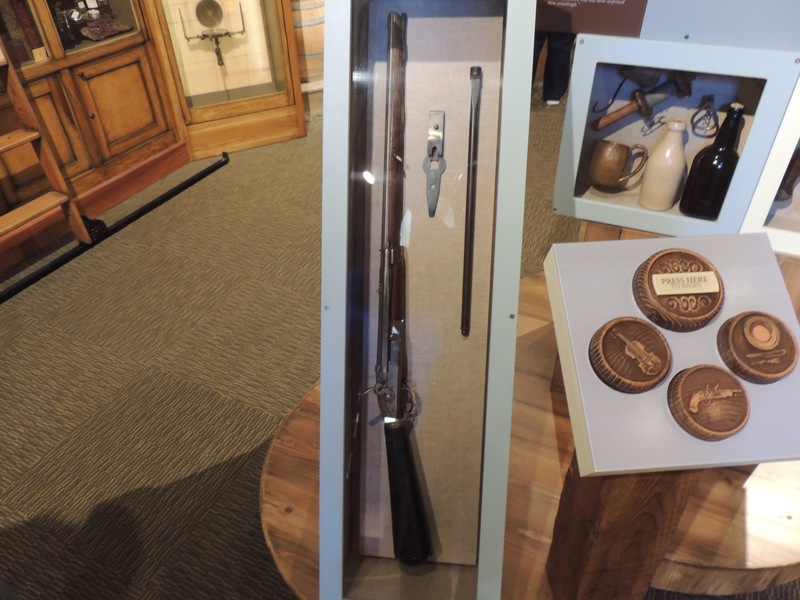 One particularly interesting piece was this air rifle; the same type that Meriwether Lewis took along on the journey to impress the natives. 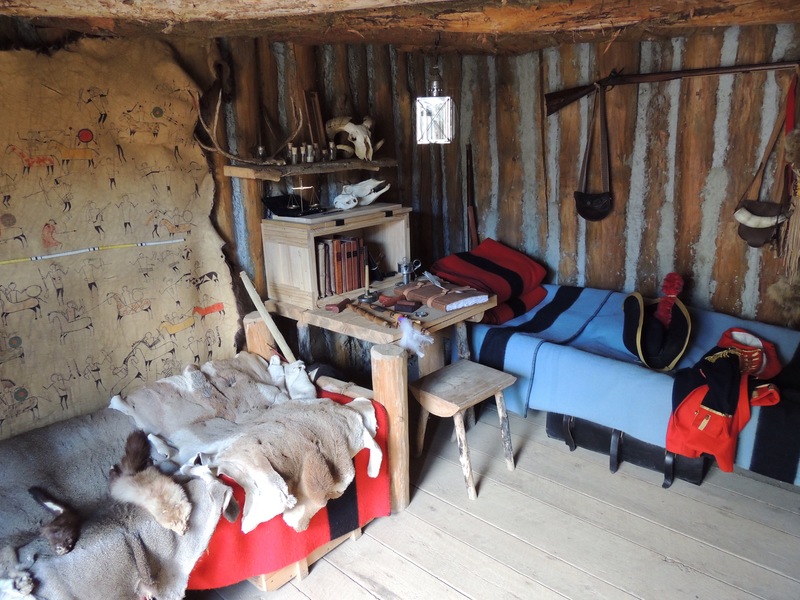 A re-creation of Fort Mandan, the place where the expedition spent the winter of 1804/1805. Now this is in context! While this fort isn’t the original, nor is it even in its initial location (which could possibly be underwater, as the river has changed course), it is built to the specifications described in the journals, using the same materials. Not only that, it is furnished and stocked with similar items that would have been there when the Corps of Discovery occupied it. 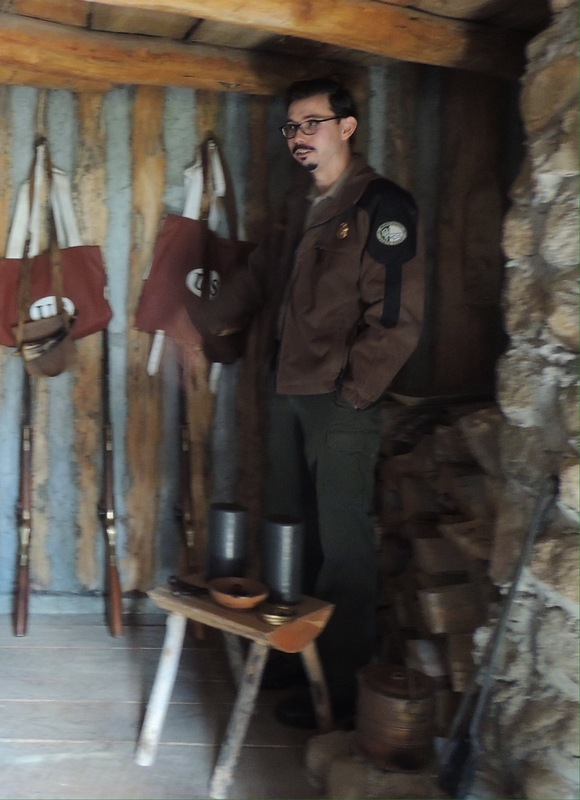 If that isn’t enough, tours are led by interpretive rangers, who encourage visitors to actually pick up and examine the different items in the outpost. They sure know the way to these history buffs hearts! Our interpretive ranger, Robert, explained each room in the fort to us. While there were only 6 people in our group, there was also a tour bus that was being led by another ranger. Robert explained that the combined groups totaled the amount of people who lived at the post, so it was a great visual in that regard. Here he explains the lead canisters that Meriwether Lewis had designed to store the gunpowder in. Each one contained 8 pounds of lead and 4 pounds of gunpowder, as it took half the weight in powder to propel a lead musket ball. Each was sealed with wax to keep the powder dry, which it succeeded in doing the entire journey. This would have been Lewis and Clark’s quarters. 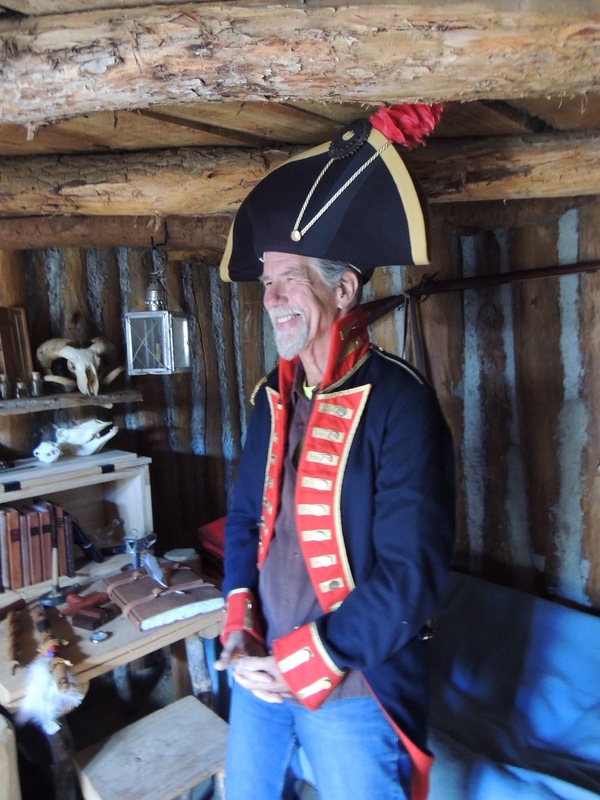 By golly…Bob makes a pretty darned good Meriwether Lewis! When Robert found out I was related to George Drouillard, he decided to put me in his clothes to see if there was a resemblance. I do believe I have the French-Canadian nose down pat! We want to give a huge thank you to Robert and his colleagues, as they deliver on what is an important piece of American history! 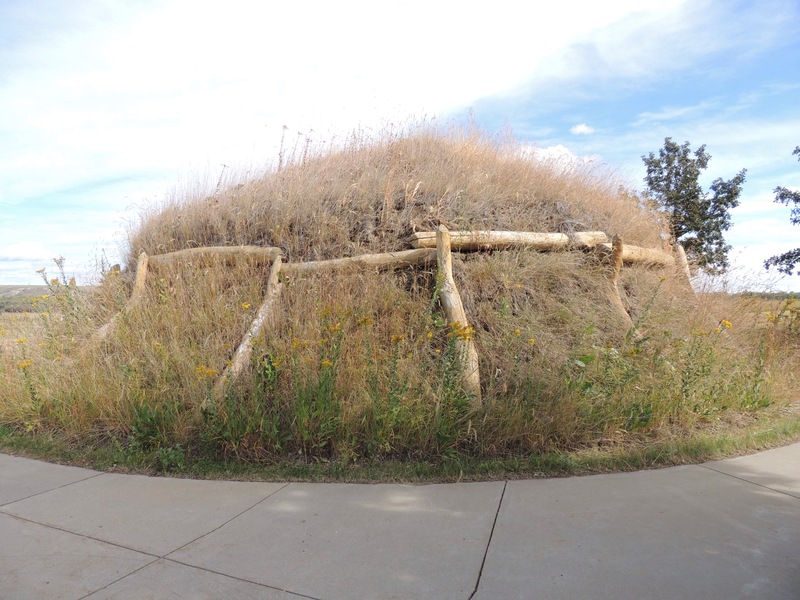 From Fort Mandan, we drove up to the Knife River Indian Villages National Historic Site. 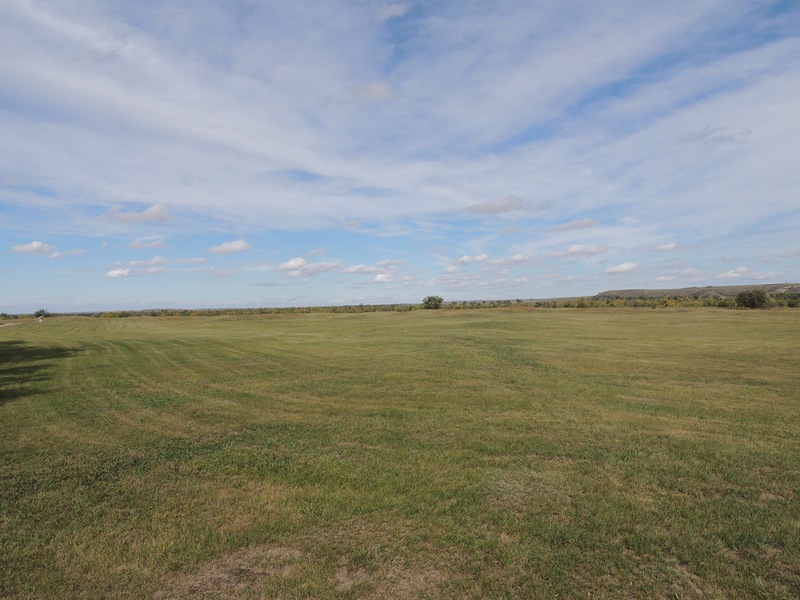 While this looks like a lawn with mounds scattered around it, it’s actually where Sacajawea lived with the Mandan Indians. These mounds are all that remain of the earthen lodges they lived in. …while this would’ve been what the interior looked like. Quite large, sturdy and warm. Even still, the natives only expected them to last around 10 years. Not your average teepee, but I’m sure the winters up here dictated the use of these! 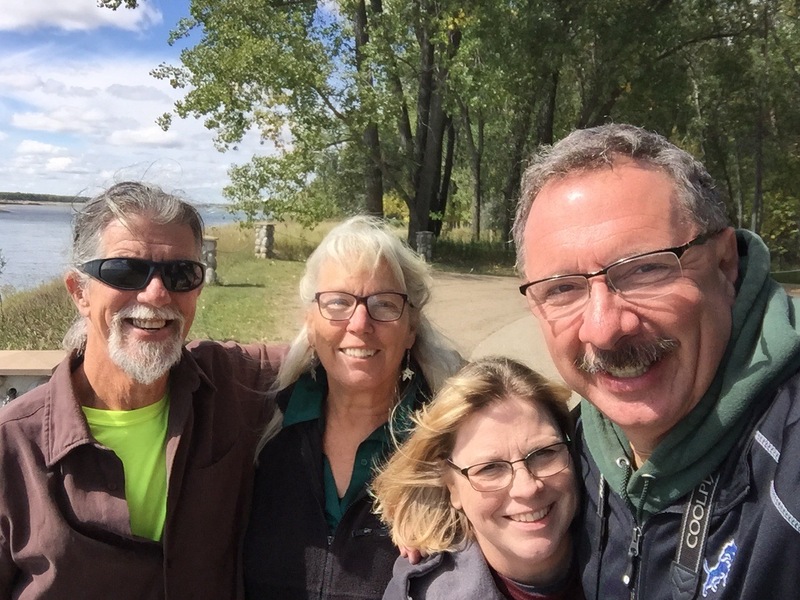 It was great to see Bob and Kat again, and to experience the transition from the West to the Midwest in beautiful North Dakota! 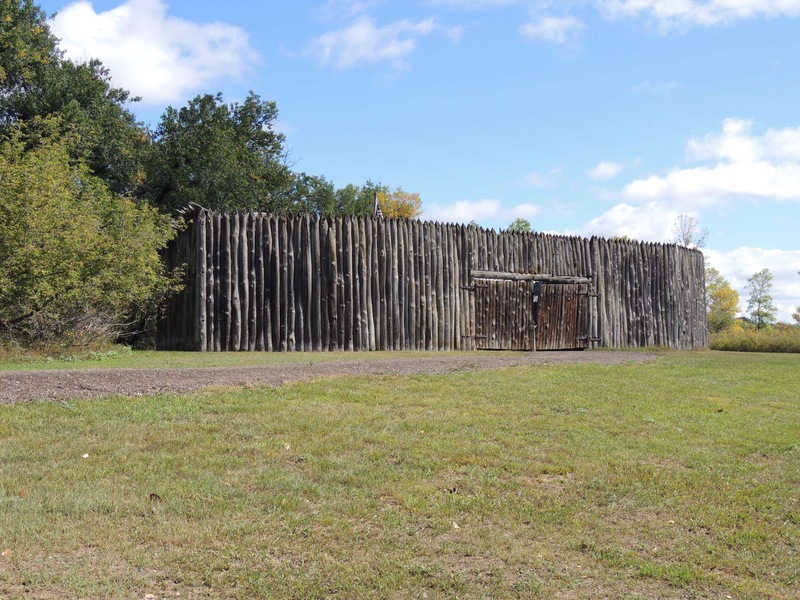 Click here for a selection of Fort Mandan articles, along with everything else under the sun on our exploRVistas Amazon link! You make a great George Droulliard Jim. 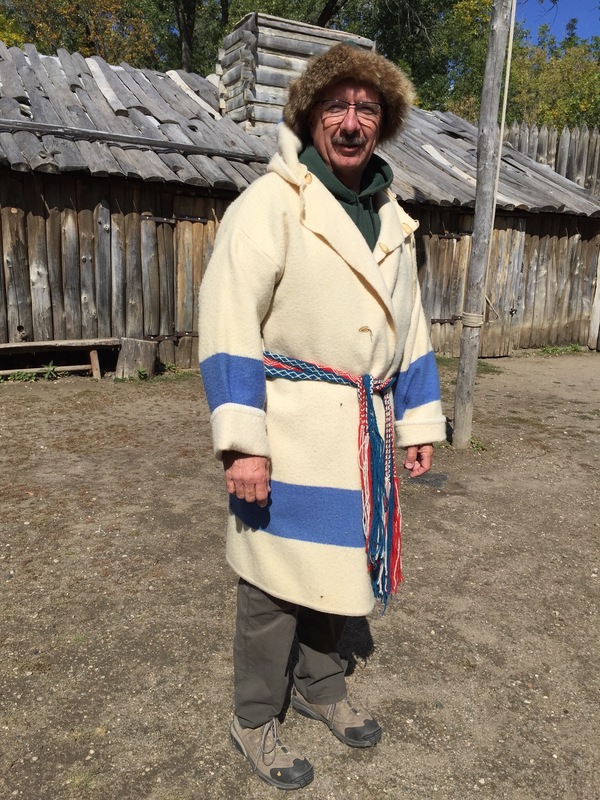 Glad the weather cooperates for you to enjoy the trip to Fort Mandan. Good thing it wasn’t two days before, Bonnie! We would’ve been soaked! Nice post looks like a great time. Looks like it was cool there. From the coats you and Diana have on. Love the photo of Diana and the big dog. Like the Fort and you do make a fine George Drouillard. Merci beaucoup, madame! Vous êtes un excellent gardien de parc! It definitely is, Pam! There is so much more there for us to discover! You would have fit right in Jim! Very cool, we ar headed up that way tomorrow but will no than likely just pass through Bismarck. North Dakota surprised us, Jim. For some reason, we remembered it as very flat. And while parts of it were, it was all very pretty to us.